The mission of the Carmel Christkindlmarkt is to provide the City of Carmel with a wintertime tourist destination by providing an engaging and authentic German cultural experience. 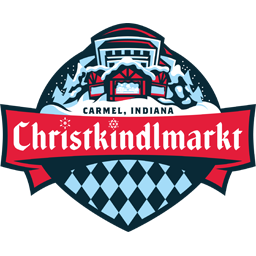 Entertainers participating in the Carmel Christkindlmarkt must be committed to partnering with the market in order to provide this experience to the visitors of the Carmel Christkindlmarkt. The Carmel Christkindlmarkt will have a blend of Germanic, traditional, and contemporary Christmas performances. Stage musicians, roaming musicians, dance groups, drama troupes, and spoken word acts are encouraged to apply. The Carmel Christkindlmarkt is a winter market – plan to perform in cold temperatures. Entertainers should dress in warm clothes, and should be comfortable in cold temperatures for the duration of their performances. While the staff of the Carmel Christkindlmarkt is happy to support entertainers and function as a resource to the entire market, market staff will not be available to function as stage hands or production assistants. Please do not plan to use market staff or volunteers in order to perform. Have you registered your company with the U.S. Federal Government? I have registered and have a Tax Identification Number. Please list all equipment that your proposal will require, along with the requested information.